Travelling Times: Embrace or escape the Queen’s Diamond Jubilee! Embrace or escape the Queen’s Diamond Jubilee! With just over 3 months to go until it’s the Queen’s Diamond Jubilee weekend, a right Royal occasion where possibly the whole country will come together to celebrate the Queen’s 60 year reign through street parties, pageants, concerts and other celebrations. But what should you do if you’re looking to escape this spectacular Royal event? With this in mind we thought we’d take a look at few ways in which you can embrace the occasion or if need be escape it. Take a look at what we’ve come up with and who knows, you maybe planning something completely different over the Diamond Jubilee Weekend! If you’re a die-hard fan of the Royals, your first port of call to celebrate the Queen’s Diamond Jubilee is to take a trip to our nation’s capital and join in with the various events that are taking place across this rather special weekend (2-5 June 2012) to mark her Coronation that took place on 02 June 1953. On Sunday 2 June 2012, you should definitely head to the banks of the River Thames and reserve your spot to see the magnificent flotilla due to sail up the River at high water to mark the Thames Diamond Jubilee Pageant. 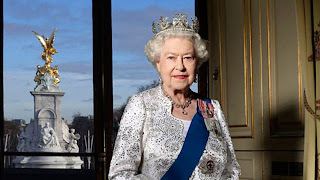 Many of you may have heard that a special Jubilee concert will be organised by the BBC and held at Buckingham Palace on Monday 4 June 2012 with stars such as Sir Paul McCartney, Dame Shirley Bassey, Sir Elton John, Jessie J and JLS all rumoured to be appearing. The Queen and The Duke of Edinburgh, plus other members of the Royal Family will also be in attendance and a national ballot has been launched whereby 10,000 members of the public will be lucky to receive tickets to the event. Thousands of beacons across the world will also be lit to commemorate The Queen’s 60 year reign. A national Service of Thanksgiving will take place at St Paul’s Cathedral on Tuesday 5 June 2012 where again The Queen and other members of the Royal Family will attend. A Prayer, written at the The Queen’s direction by the Chapter of St Paul’s Cathedral in honour of the Diamond Jubilee will be used in the Service. Whilst the Service is taking place, perhaps head over to The Mall and again reserve your perfect viewing spot so you can see the majestic Carriage Procession as it returns to Buckingham Palace. It’s fair to say that this weekend of celebrations will suit any fan of the Royals! Should you be in Scotland during the Queen’s Diamond Jubilee, don’t worry because not all of the celebrations will be taking place in London. For example, to round off her main Diamond Jubilee celebrations in Scotland, The Queen will be holding a Garden Party at Balmoral. This is the first time a Garden Party has been held at Balmoral since the Golden Jubilee in 2002. It is expected that the Royal Family will then begin their annual summer break in the area. Scotland will also be taking part in the lighting of the beacons with Clackmannanshire holding an exhibition of royal memorabilia & photos and Dumfries & Galloway planning a musical concert and a school arts project to mark the occasion. Whilst in Edinburgh, stroll down the historic Royal Mile and visit the Palace of Holyroodhouse where The Queen stays during her visits to Scotland. Discover hidden gems in the ‘Royal Treasures: A Diamond Jubilee Celebration’ exhibition to be held at the Palace between March and September 2012 or see if you can catch a glimpse of The Queen during ‘Holyrood Week’ (02-06 Jul 2012) when she holds a number of Royal engagements across the country. Head to the McManus Art Gallery & Museum in Dundee and marvel at the ‘Ten Drawings by Leonardo da Vinci: A Diamond Jubilee Exhibition’ (31 Aug to 04 Nov 2012) – this is the only place in Scotland where you can see these paintings from the Royal Collection. Check out the Royal Yacht Britannia that is permanently moored in Edinburgh or head to Fife to enjoy the floral beauty of the Diamond Garden Festival (18-20 May 2012). Not forgetting the beautiful Balmoral Castle located in Ballater that is a firm favourite with The Royals. Now is the time to celebrate the Queen’s Jubilee Year and trace Scotland’s royal connections. It’s quite possible that during 2012, it will be very difficult to escape the Diamond Jubilee as celebrations will no doubt be taking place right across the Commonwealth to mark this special occasion. One possible option would be to cut yourself off from the world and become a temporary recluse during the celebrations. All you would have to do is stay indoors and resist the temptation to switch on the TV, radio, computer or read the newspapers. Although, this could be a little difficult should your local community be holding a Street Party in order to celebrate! Another option available should you wish to escape all the pomp & pageantry of the Diamond Jubilee is to hop aboard a cruise and escape to the ocean blue. Although, again you might have to resist the temptation of switching on the TV or radio in the cabin or picking up a newspaper to escape the coverage of the Jubilee celebrations. But you should be ok unless the cruise line you’re travelling with decides to host a party to celebrate – in that case, you could always barricade yourself in your cabin for the duration! This could quite possibly be the ultimate escape route should you wish to stay away from all the Diamond Jubilee celebrations taking place in the UK. The word ‘Timbuktu’ (or Timbuctoo or Tombouctou) is used in several languages to represent a far-away place but did you know that Timbuktu is an actual city in the African country of Mali located on the edge of the Sahara desert? These days it pretty much lives up to its reputation as being ‘the end of the world’ but once upon a time, it was the centre of important trade routes. Should you wish to escape to here during the Diamond Jubilee Celebrations, please note that Timbuktu is now a desolate and impoverished town reknowned for its heat, isolation and sand dunes. Despite a new airport, flights regularly fail to materialise leaving passengers stranded for days! Still thousands of determined visitors from across the world do make their way to Timbuktu each year despite the questionable travel arrangements. Surprisingly, there are lots of things to do to take your mind away from the Diamond Jubilee such as touring the historical landmarks of the ancient city and listening to lively tales of how former French presidents ensured their re-election by consulting with powerful saints and holy men. Experience a romantic adventure under the desert sky with trips to the sand dunes that surround the Islamic town. There’s the impressive Jingereber Mosque built from mud in 1325 AD, there’s a fantastic collection of manuscripts held at the Ahmed Baba Centre or if you really want to stay in touch with home, head to the country’s one & only cybercafé!